Lone wolf golf offers a different format for foursomes. Golf by itself is a fascinating game, offering the challenge of trying to shoot your best score while battling the natural elements and hazards presented by the course. However, sometimes golfers like to mix it up a bit and try different scoring formats. In Lone Wolf golf, the objective is to accumulate the highest number of points. On each hole, 1 to 4 points are awarded for the lowest score. 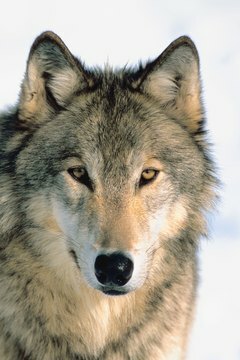 The player designated "the wolf" has the opportunity to earn up to 4 points. Each player of the foursome has the chance to be the wolf at various holes in the match. Toss a coin to determine the first wolf of the game. One golfer tosses the coin and another golfer calls "heads" or "tails." The winner of that toss then tosses the coin for a third golfer to call. The winner of that toss tosses the coin one more time and the fourth player calls it. The winner of the final coin toss is the first wolf. Alternate the wolf on each hole. The winner of the final coin toss tees off as the wolf on the first hole. The winner of the second coin toss is the wolf on the second hole. The winner of the first coin toss is the wolf on the third hole and the remaining player is the wolf on the fourth hole. The order repeats itself through 16 holes. At the 17th hole, the player with the second-highest point total at that point is the wolf. At the 18th hole, the player who was in first place in total points on the 16th hole is the wolf. Each player tees off. The wolf goes last. After each player has teed off, the wolf for each hole decides whether to play by himself against each of the other three players or to choose one of the other players to be his partner. If the player decides to be a lone wolf, his score alone determines if he wins any points. If the wolf chooses a partner, their combined score must be lower than the combined score of the other two players to win the hole and the points. Award points as follows: If the wolf plays alone and shoots the lowest score on a hole, he receives 4 points. If the wolf and his partner score the lowest, both golfers receive 2 points. If the other two players beat the wolf and his partner they each receive 3 points. If another player scores lower than the lone wolf, each player except the lone wolf receives 1 point. If no player has the lowest score -- all four players tie on the hole -- no points are awarded. Add up the points at the end of 16 holes to determine who is in first and second place and who will be the wolf on the 17th hole, and also on the 18th hole. After 18 holes, the player with the highest point total wins. The prize might be lunch at the club, or each golfer can contribute a set amount of money to a pool at the beginning of the match and the winner takes all.